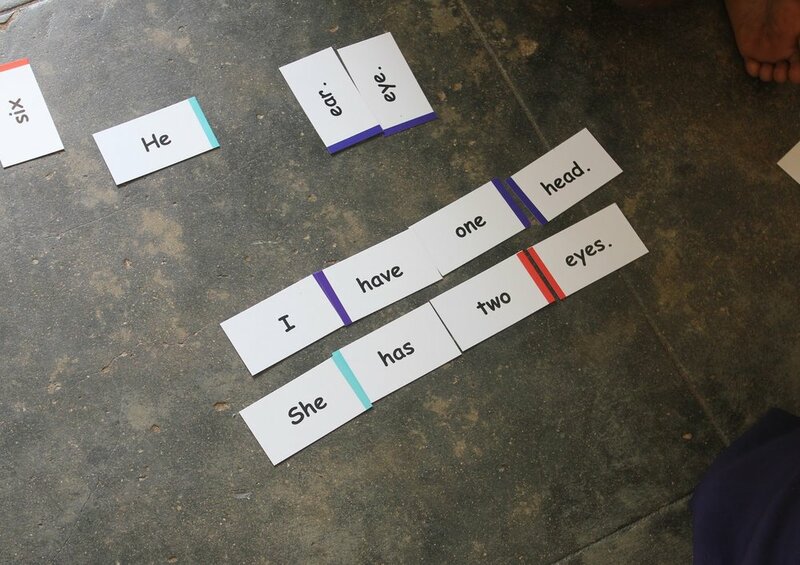 English Kadhavu aims to bridge the language divide by creating resources that help schools and teachers educating children from lower socio-economic backgrounds. In Tamilnadu, English is a required subject in all schools even if the medium of education is Tamil. However, students in Tamil medium schools struggle with the language because of a lack of exposure and a lack of usable resources like books. They progress through the grades acquiring a very rudimentary knowledge of the language, just enough to pass exams, and are unable to cope when proficiency in English becomes necessary in higher education. Our goal is to create the resources that will set the students in the path towards proficiency at a young age, and help them acquire a foundation that they can build upon throughout their schooling. After working with teachers in three different schools in Tamilnadu, we have created a Box a Month program - a lesson plan for teachers to use each book box over a period of four weeks, with repeated reading accompanied by various activities to build vocabulary, improve comprehension, and sentence formation.